It’s a match made in beauty heaven with Thalgo and La Spa Naturale at Paihia Beach Resort and Spa coming together to offer you the ultimate in indulgent beauty therapy facials. Transcend into another level of pure bliss with the wonderful range of Thalgo facials now available at La Spa Naturale. Thalgo is the World Leader in Professional Marine Cosmetics. Your skin will be left fresh, glowing and so soft to touch. "La Spa Naturale with Thalgo offers a complete facial range addressing all individual beauty concerns including: hydration, contouring, anti-aging, rebalancing, sensitivity, and pigmentation," says Lyndsey Morrison, Manager of Paihia Beach Resort & Spa. Inspired by the health giving benefits of the ocean, Thalgo perfectly blends health and well-being into its products. "It’s a good indication for our customers that we only use the best premium products and they don’t have to worry about any nasty chemicals being applied to their face," adds Lyndsey. Even if you have sensitive skin you are in safe hands with Thalgo and La Spa Naturale. You will come away with a fresh and luminous skin that feels firmer to protect against further external aggressions. 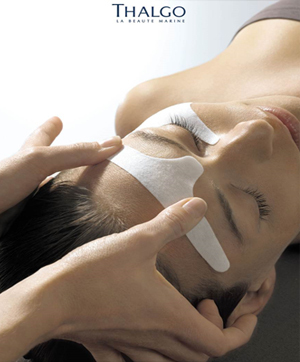 Thalgo facials are not just for woman. There is also a facial specifically and carefully designed for men. Your skin will feel deeply reinvigorated and re-energised and those pesky shaving irritations are soothed away! In part of a grand plan to help grow Thalgo Spa and tourism in the winterless Northland area, Thalgo’s New Zealand Director Rosemary Currie welcomed La Spa Naturale on board during April. "A great spa is all about relaxation and well-being. La Spa Naturale at Paihia Beach Resort & Spa is an ideal destination for locals and tourists to enjoy a bubble of relaxation and luxury," says Rosemary. La Spa Naturale is in good company with the other high quality Thalgo Spa’s. Thalgo is distributed throughout New Zealand to leading spas such as the Chuan Spa at the Langham Auckland, Flagstaff Lodge at Russell, Delamore Lodge Waiheke Island, QE Spa in Rotorua, Oddfellows in Queenstown, Spa St Clair in Dunedin and to more than 120 Beauty Therapists nationwide who share the passion Rosemary has for marine based skin care.